1. When he gave Pam the most thoughtful gift ever for the office Secret Santa -- a teapot full of inside jokes and mementos. They weren't even dating at the time; he was just casually in love with her. 2. When he included a card with the gift that read, "Because at Christmas time you tell people how you feel." And then took it back because he feared rejection. Only later giving it to her in season nine when they hit a rough patch in their relationship in order to express his neverending love for her. 3. 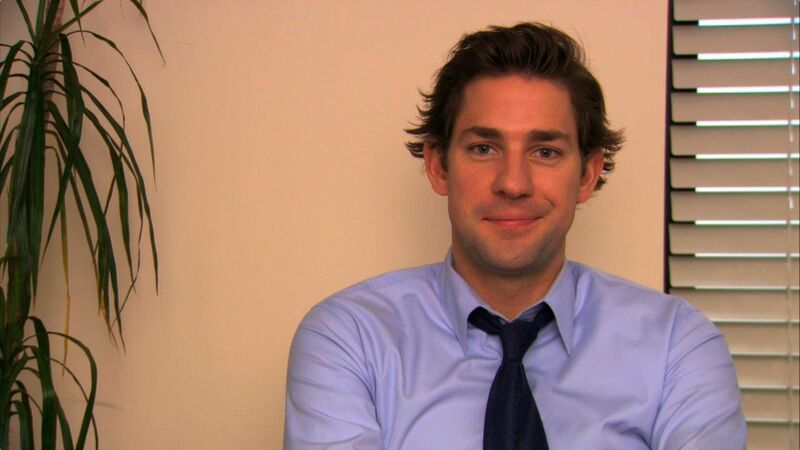 When he made this face after he learned that Pam was pregnant. 4. When he and Pam had the definition of a perfect wedding. Because who doesn't want to have an impromptu runaway to Niagara Falls with the love of your life? 5. When he basically had any moment with Pam. We always knew they were destined to be together from the start. 6. When he willingly starred as the villain in Michael's Threat Level Midnight. He did do a pretty damn good job of portraying such an antagonist. 7. Whenever he looked into the camera and never stopped being his dorky self. As viewers know, this happened every episode on multiple occasions. 8. Whenever he pranked Dwight. And nailed it. Every. Single. Time. 9. When he brought back Michael to Dwight's wedding in the series finale. As if we weren't already emotional. 10. And finally, when he (and the rest of the world) teared up as he said goodbye to Michael in season seven. If you weren't sad when watching this then you are most definitely lying.